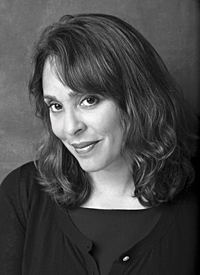 Natasha Trethewey is author of Native Guard (Houghton Mifflin, 2006), Bellocq's Ophelia (Graywolf, 2002), and Domestic Work (Graywolf, 2000). She is the recipient of fellowships from the Guggenheim Foundation, the Rockefeller Foundation Bellagio Study Center, the National Endowment for the Arts, and the Bunting Fellowship Program of the Radcliffe Institute for Advanced Study at Harvard. Her poems have appeared in such journals and anthologies as American Poetry Review, Callaloo, Kenyon Review, The Southern Review, New England Review, Gettysburg Review, and The Best American Poetry 2000 and 2003. An Associate Professor of English and Creative Writing at Emory University, she is the Lehman Brady Joint Chair Professor in Documentary Studies and American Studies at Duke University and the University of North Carolina at Chapel Hill for 2005–06.